Lebanon's Prime minister has called on Hezbollah to stay out of regional conflicts to help bring an end to the country's political crisis. Speaking to French broadcaster CNews, Saad al-Hariri, said the political and militant group must stop interfering in regional conflicts and accept the government's "neutral policy". "Lebanon cannot settle a matter like Hezbollah which is a regional matter, because Hezbollah is in Lebanon, Syria, Iraq, everywhere and it's because of Iran. 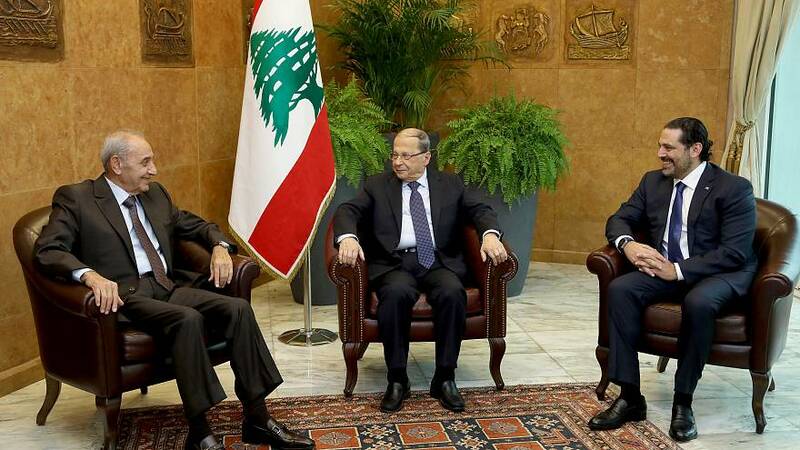 We need to reach a regional political solution," said Hariri. The future of Hariri's government is in doubt although last week he went back on his shock decision to resign. However, he has threatened to quit again if Hezbollah, which forms part of the Lebanese government, remains involved in regional conflicts. Hariri made clear he's open to modifying his government before elections next year if consultations with Hezbollah this weekend positively. The Iranian-backed Hezbollah, which forms part of the Lebanese government, is fighting alongside Syrian President Bashar al-Assad in Syria and in Iraq against Islamic State militants. Gulf monarchies have accused the Shi'ite group of also supporting the Houthi group in Yemen and of backing militants in Bahrain. Hezbollah denies any activity in Yemen or Bahrain. Hariri's main patron is Saudi Arabia, Iran's main regional rival, which has also intervened in regional conflicts.